The online retailer Backcountry puts the ski industry on notice with a high-end shell-and-bibs combo. 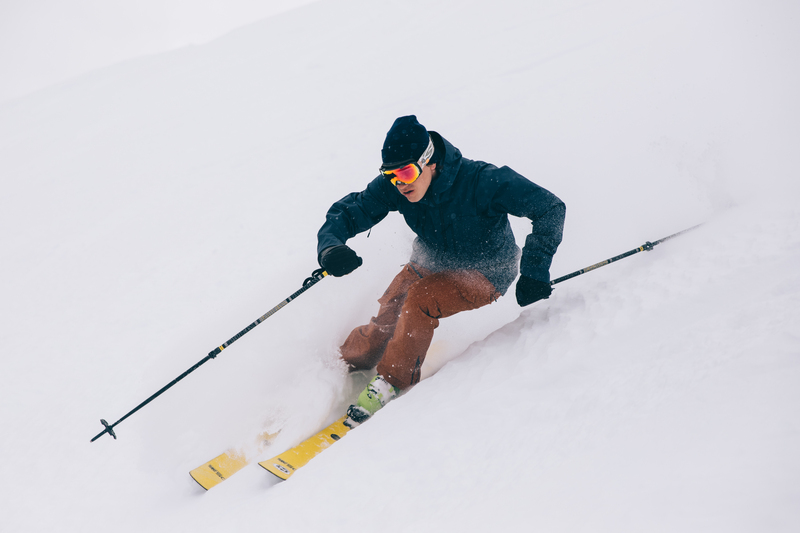 We took the 2019 Backcountry Stretch three-layer jacket and Heavyweight Bibs cat skiing for this review. On my fifth turn down the steep, wind-blasted slope I caught an edge and tumbled face-first into the snow. The crowd above me jeered as I regained my orientation and stood back up on my skis. Taking a bow to signal I was alright, I planted my next few turns a little harder, this time keeping my balance. At the bottom, I met up with Dave, our guide, and joked about the difficulties of skiing in variable conditions. Even after full snow submersion, I was pleasantly dry thanks to the outwear I was testing: Backcountry’s Stretch 3L Jacket and Heavyweight Bibs. 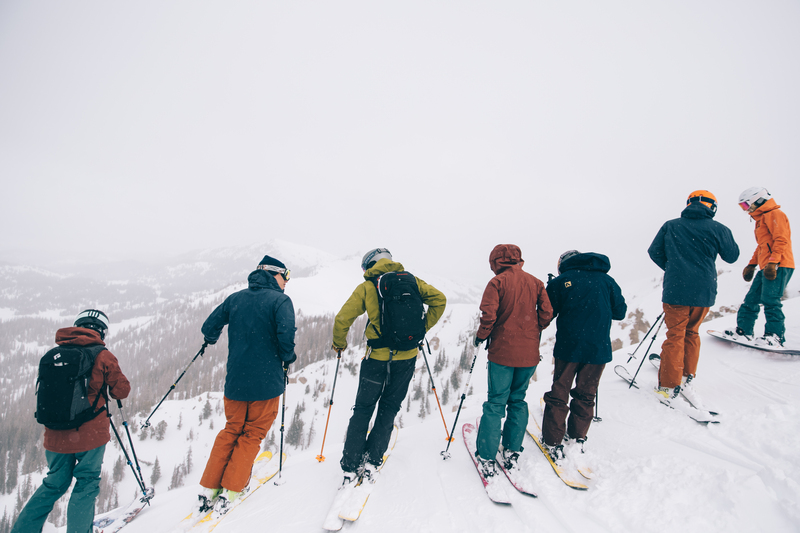 Our group of seven was skiing in the Uinta Mountains on a relatively mild mid-March day — temps in the mid-teens and mostly overcast, with some gusts up to 40 mph on the ridgelines. We skied about 5,000 vertical feet, all on north-facing slopes with variable snow, making for a few casualties like myself. 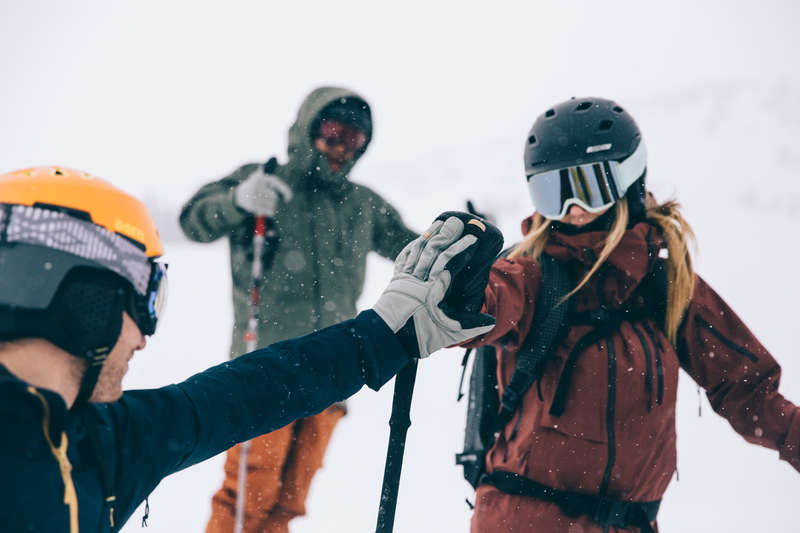 In short: Backcountry’s first foray into high-performance outerwear is an undeniable success despite it not being fit for everyone. For those looking for a minimalistic or lightweight shell, it’s best to look somewhere else. The jacket and bibs are as advertised: durable, waterproof, and on the luxury end of things, including price point. 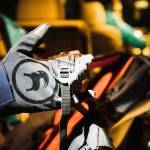 Partnering with Gore-Tex, Backcountry will sell the pair for a combined price north of a grand. After testing them for a few days — and still months before the full kit is set to launch in October — I walked away impressed, knowing they would keep me warm in almost any condition. The Backcountry Winter Collection uses Infinium, a new technology from well-known materials developer Gore-Tex. The biggest innovation of this new waterproof layer is the stretch, allowing better mobility and comfort for the user. I found this helpful — but not revolutionary. My arms and legs felt a notable difference when making ski turns and bootpacking up ridges when compared to standard Gore-Tex. That said, other major brands have already rolled out similar technologies in the last couples years. The stretch in these Backcountry layers is about average. 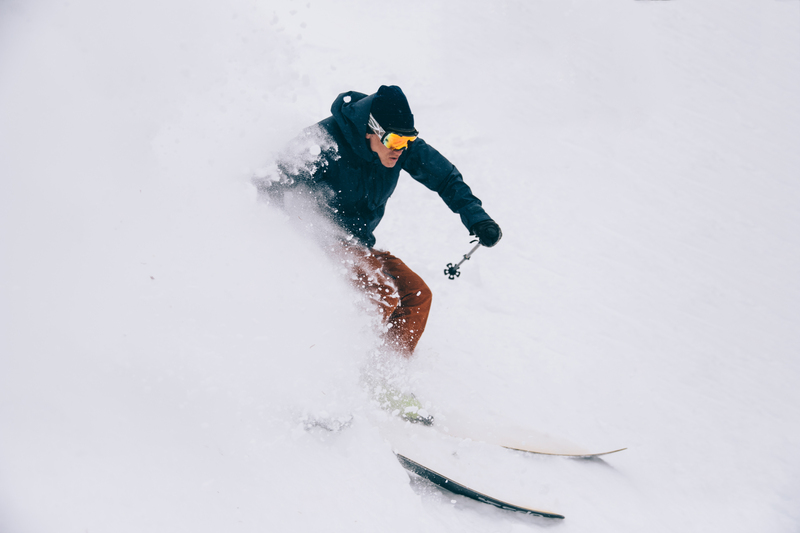 The Stretch 3L Jacket is pretty much what we’ve come to expect when we hear about a three-layer Gore-Tex piece: burly and best used for colder days and stylish après. But there’s more than meets the eye here. After our time in the Uintas, it’s clear Backcountry put considerable thought into the small details of this jacket. It comes with ample pockets with generous pull tabs, a helmet-sized hood, taped seams, pit zip venting, and a low back, all of which I appreciate. The dark-blue color isn’t flashy, and the cut is clean and simple. The first thing I noticed while putting on the jacket was the zipper, which smartly zips to the side, avoiding your chin or beard. There’s also a secondary zipper to expand the size of the hood. I was happily surprised by how well these dual zippers worked. After using the jacket for a few days, I began understanding more of the small details, such as the shaped cuffs with Velcro, small shoulder pocket for a lift pass, smart hood-adjustment tabs, and an insulated phone pocket. These little touches make the jacket much more useful than many of my past shells. It also comes with a powder skirt (that integrates with the bib), an interior loop for a beacon, and a large pocket for radio. 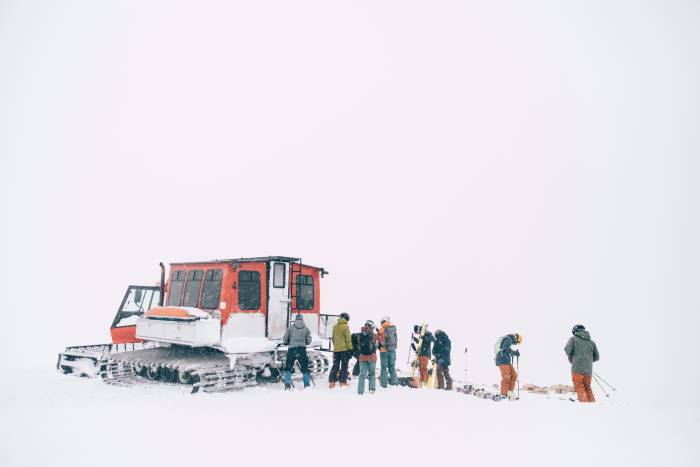 All of these small touches come from Backcountry Gearheads, the group of 300 or so customer support agents that work with customers, users, and skiers on a daily basis. Two Gearheads who helped design the ski kit joined us on the trip, sharing more of the design process with us. This stood out to me — very few brands have as much data as Backcountry or know how to leverage it in the same way. Gearheads provide criteria to the design team and help out with the testing of prototypes, too. This differentiates Backcountry considerably. 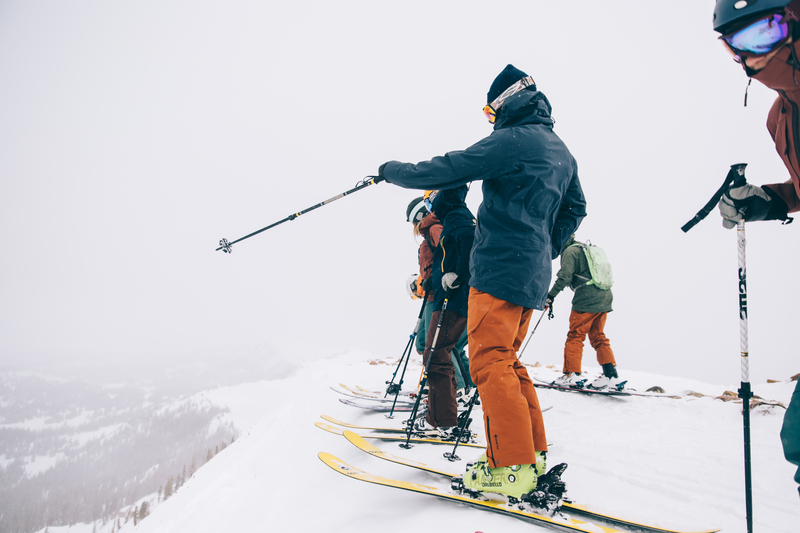 Backcountry also makes the matching Heavyweight Bib from Gore-Tex three-layer fabric with DWR. It has fully taped seams and many similar small touches that make it a high-quality piece of gear. While testing, I appreciated the waist and shoulder adjustments on the bibs, both made of Velcro, easy to use, and sturdy during the day. The bibs can be converted into pants, with a zipper at the waist. A few in the group took this option and appreciated it, but I stuck with the bibs. They come with a whole slew of pockets: zip cargo pockets, goggle pocket, and standard hip pockets. For those interested in touring, they also have thigh vents, snow gaiters, an interior loop for a beacon, and articulated knees for movement. Overall, I was impressed. 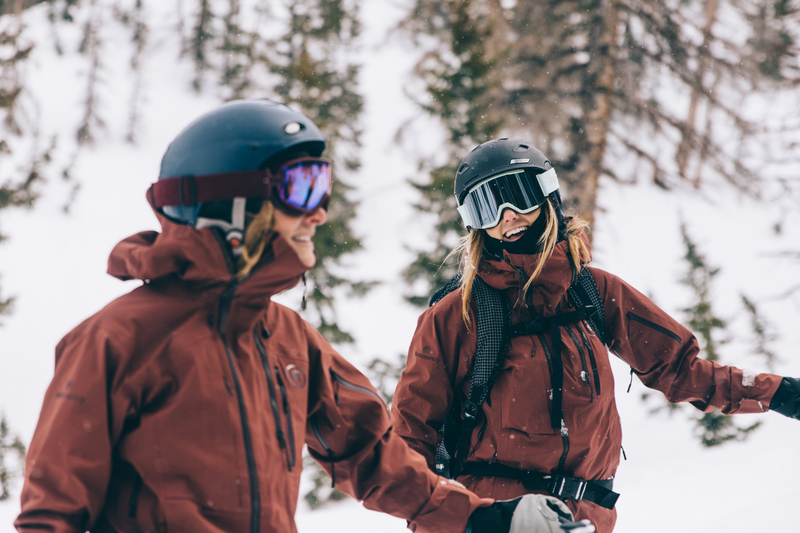 Backcountry has created two highly functional pieces, leveraging a partnership with Gore-Tex and the knowledge of its internal Gearhead team. That said, this jacket-and-bibs combo isn’t fit for everyone. This is the brand’s first big move into the design world, and neither piece is perfect — at least the prototypes I tested. They are durable and waterproof, but you’ll pay considerably for them. The Strech 3L Jacket will retail at $550 and the Heavyweight Bibs at $480. I would certainly trust both in almost any condition, from blower pow to wet and warm overcast tours. Backcountry put considerable thought into the small details, and it shows. Both the pockets and adjustable straps as well-designed. Maybe not perfect for long, sweaty tours, expect to see both the jacket and bibs around your ski resort next winter.